Specializing in Residential and Commercial moves of any size. 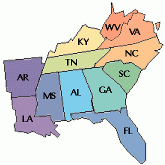 In Northeast Florida we serve Jacksonville and its surrounding cities in addition to the Southeastern US. Moving across country? Ask us about a long distance move! We also cover all the continental US. Allow us to give you a free no obligation estimate for your move. Simply fill out the form below. We'll contact you promptly! Would you rather we call you to discuss your moving needs? Click here! We respect your privacy and will not ever share your information with 3rd parties. To request a phone call to discuss your moving needs and pricing, fill out the form below and we will contact you within 1 business day or less.